Mint is a healthy aromatic herb and is an essential ingredient in much Indian and Middle Eastern cuisine . 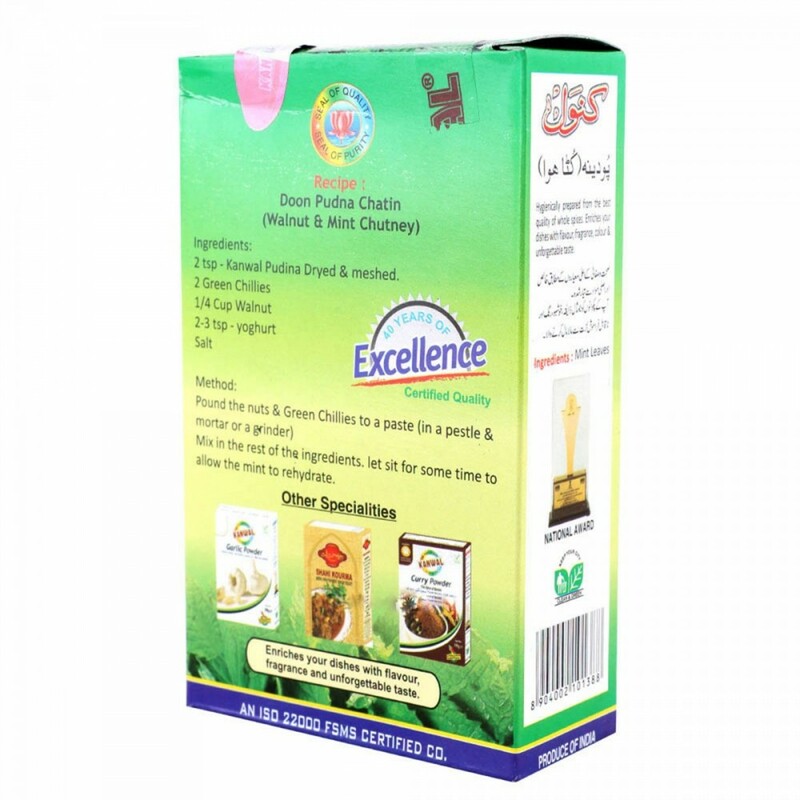 Kashmiri Dried mint has a sweet flavor and is used in preparing a large number of recipes, including curries, soups, chutneys, salads, juices, and ice creams. 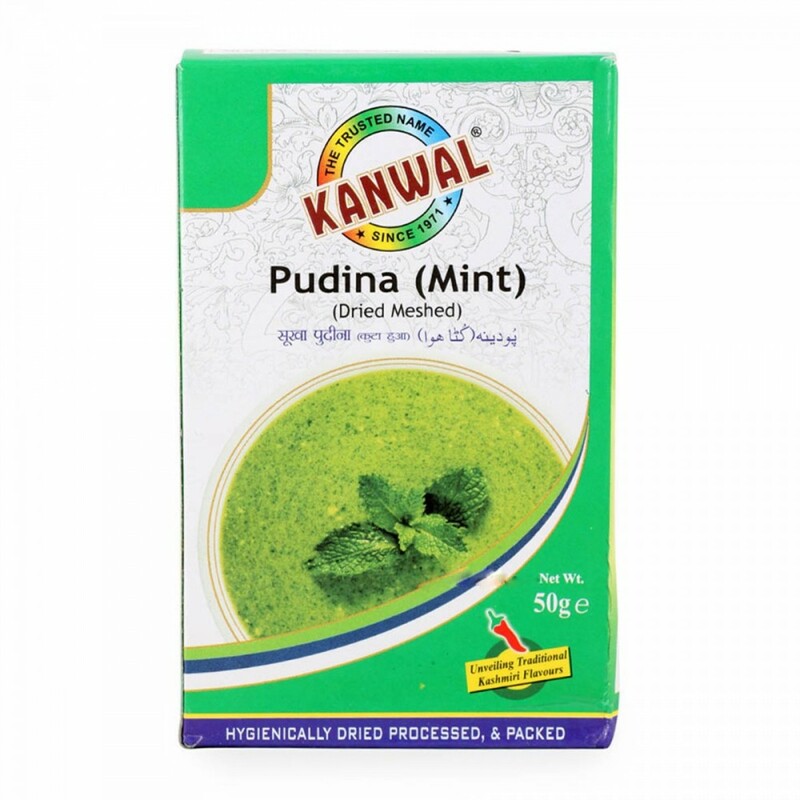 A sprinkle of Kanwal's dried mint powder transforms the whole dish into a gourmet delight and is a treat for eyes. Go ahead and relish the goodness of this grown in Kashmir, magical herb. 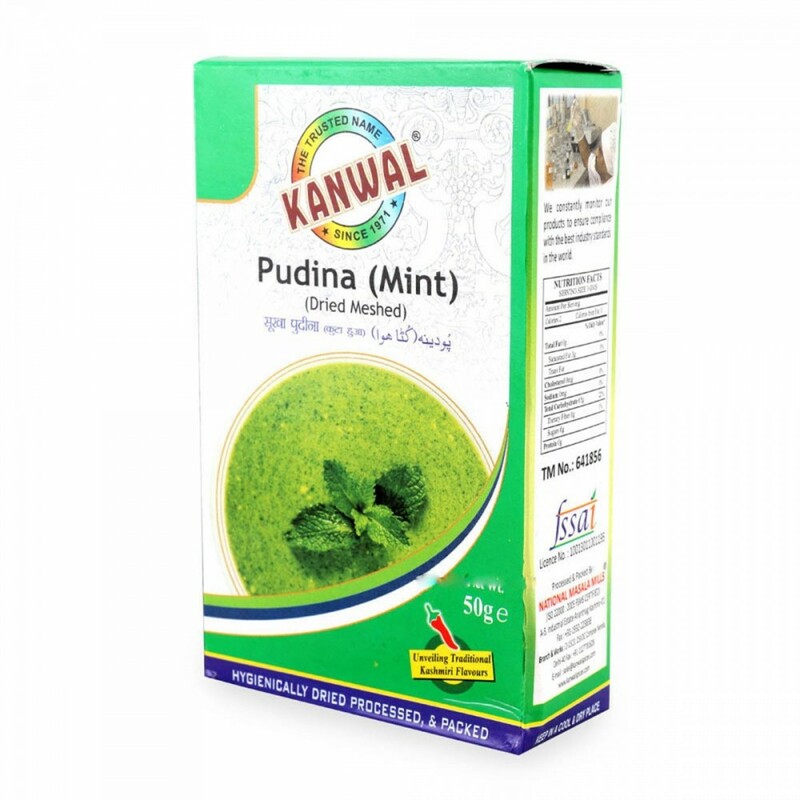 Buy Best quality Kanwal Dried Mint Powder (Pudina Powder) directly from Kashmir only on Hamiast.